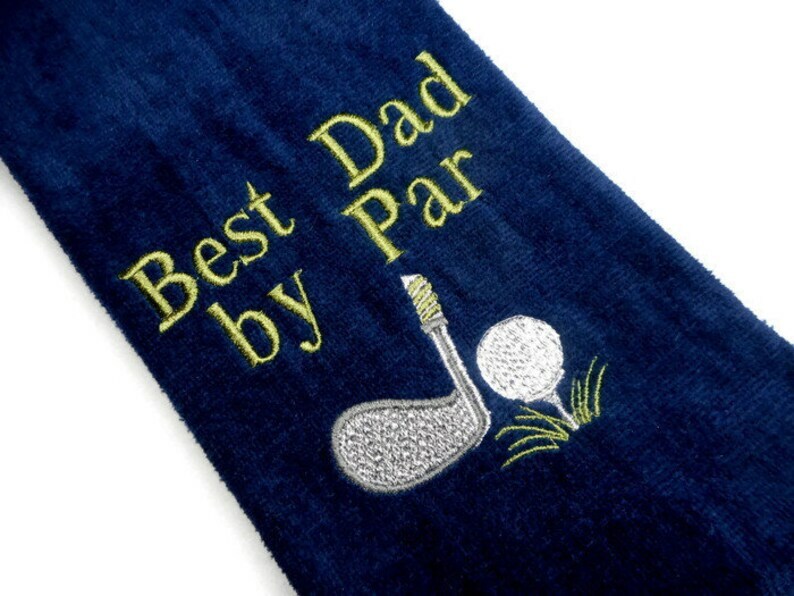 A golf towel is a great personalized gift for the golfing enthusiast. Club and ball design with, Best Dad by Par. The design measures approximately 5 X 5 inches. Other name options available. Very friendly and helpful! Received very quickly and it looks great! Cant wait to gift it to my dad.. thank you!